Shia LaBeouf was arrested early this morning (January 26) on the premises of his anti-Trump "HE WILL NOT DIVIDE US" installation in Queens, NY. The actor allegedly pushed a 25-year-old man outside of the performance art space when he walked by and said something that LaBeouf didn't agree with. As The Guardian points out, an unofficial "HE WILL NOT DIVIDE US" Twitter account has shared a clip from the livestream that shows the actor shoving a man after he looks into the camera and says, "Hitler did nothing wrong." A spokesperson for the New York police department said that LaBoeuf grabbed the man's scarf, scratching his face, and then pushed him to the ground. 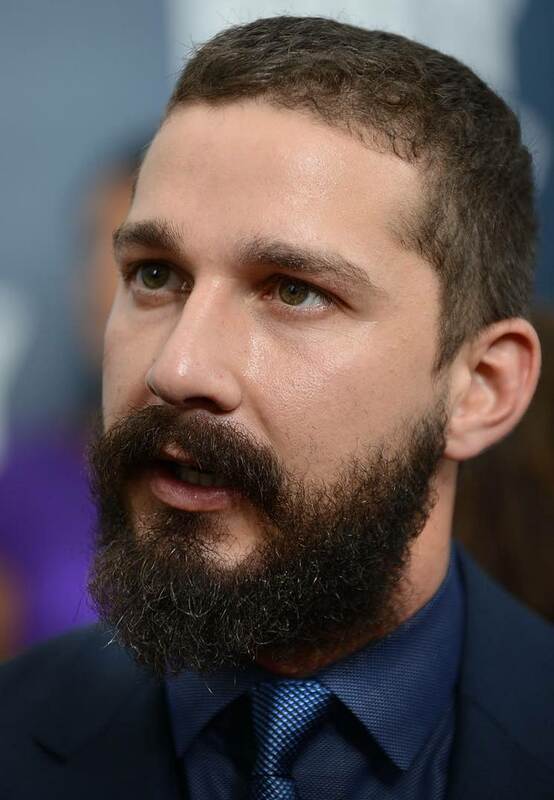 Police arrested LaBeouf around 12:30 a.m. EST on suspicion of misdemeanour assault. As previously reported, the art project was launched on the day of Donald Trump's inauguration and intends to run continuously until the president's four-year term is up. It features a 24/7 livestream, encouraging participants to address the camera by saying "He will not divide us." You can tune in to the livestream here.